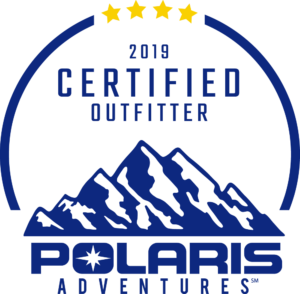 Greystone Castle is excited to partner with Polaris Adventures and offer Polaris Ranch Adventures. Through Polaris, we are now offering self-driven tours through two of our unique pastures. Each drive is fully guided, but you pick the trails, the speed and every twist and turn of the journey. Description: This Polaris Ranch Tour is in the West Pasture. Featuring 1500 acres of habitat filled with 40 exotic species from Asia and Africa. Expect to see Blackbuck Antelope, Sika Deer, Fallow Deer, Zebras, Kudu, Wildebeest and many more. Spring and Summer tours can expect to see newborn babies from our breeding herds found flourishing in this habitat. Fall and Winter tours can see trophy sized males battling it out in a clash of the titans. This is as close to an African safari you can get in the unique mesa area of Texas! Description: This Polaris Ranch Tour takes place in the East Pasture. It includes seeing and experiencing unique Texas mesa terrain in a 2200 acre enclosure full of Texas wild life. Expect to see native whitetail deer, Rio Grande turkeys and plenty of bird species. The terrain of this pasture offers steep inclines and plenty of open fields. Break through the forest paths to discover hidden ponds and lakes where the wildlife thrives.